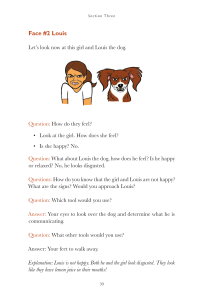 An excerpt taken Chapter One of A Kids Comprehensive Guide to Speaking Dog . This chapter provides background for the parents. The remainder of the book is easy to read case studies supported by fabulous graphics. A dog’s communication systems are greatly ritualized, and have evolved specifically to avoid or cut off conflict. This has made dogs, as a species, very successful in terms of their numbers, variety, and adaptability. Things, however, can go awry when we humans misread the signals dogs send us, leaving them helpless to effectively communicate their feelings to us no matter how hard they try. We cannot know or understand what dogs think and vice-versa. What we can do, though, is understand their body language, observe them carefully as we interact with them, and then respond appropriately. 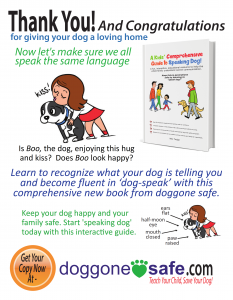 “Speaking dog” is simple if you remember a few important rules, and has the added bonus of making any interaction with dogs more fun and safe – not to mention, the dogs you come into contact with will really appreciate it. 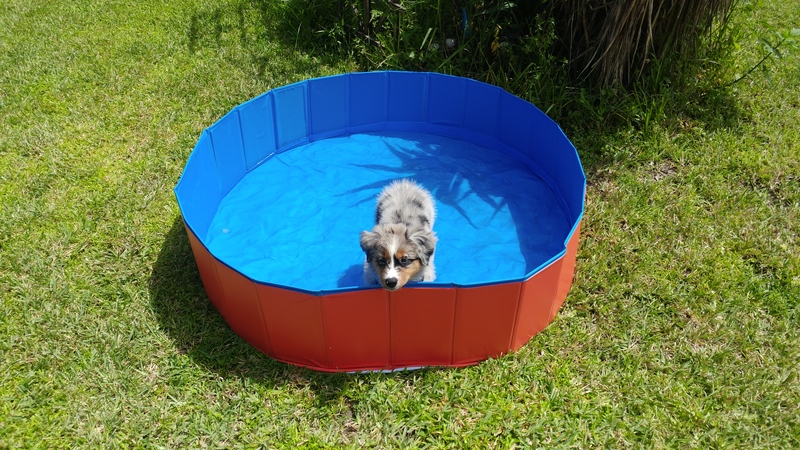 A dog uses distance decreasing behaviors to promote approach, play and continued interaction. A lumbering soft gait, relaxed body, and a relaxed face, where the muscles are loose, indicate the dog is encouraging interaction, as does a dog who is moving towards you or leaning into you. The dog may also offer you a paw or rub against you. 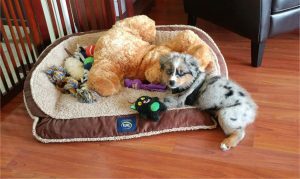 Dogs who want to engage in play will demonstrate the “play bow,” a posture where the dog literally bows the front of his body so the front legs are parallel to the ground while the hindquarters remain in the standing position. There are also a number of distance increasing signals we humans commonly misinterpret. These are the more appeasing behaviors dogs demonstrate. Dogs use these appeasement behaviors to make friendly encounters more predictable and to help them diffuse what they anticipate might be a hostile encounter if escape is impossible. These behaviors are a nonaggressive way to “cut off” conflict. When dogs display these behaviors, we need to recognize that this is their way of showing us they are unsure and a little scared. Passive appeasement behaviors are commonly misunderstood and are often labeled as “submissive.” Dogs displaying passive appeasement will present themselves in a recumbent position exposing the underside of their body. The dog’s ears are typically back and down against the head and the tail is often tucked between the upper legs. Sometimes the dog will expel a small amount of urine while he waits for the attention or the situation he perceives to be hostile to cease. For humans, then, it is important when meeting and greeting dogs to be able to recognize if a dog is genuinely friendly and wanting to greet you, or if he is experiencing stress, anxiety or fear. A dog in conflict will want to approach but at the same time is too scared or unsure of the outcome. His body language will vacillate between displays of distance decreasing behaviors and distance increasing behaviors. Interacting with a dog that is conflicted can be risky. 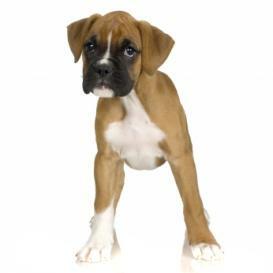 If you make a wrong move and the dog cannot avoid the approach, then he may become aggressive. This is often the case with a “fear biter.” Many dogs who bite, bite out of fear. Our appearance and movement towards them is scary, and they bite as a last resort to encourage us to leave. Dogs whose bite is motivated from fear often display ambivalent, mixed signals. This means they are conflicted. They are torn between approaching and being scared so they will move back and forth in their communication. This conflict can be displayed very quickly and can result in nips and bites. When dogs are showing fear it is advisable to avoid sudden movements, and to allow the dog an escape route. Do not force the meet and greet by moving toward the dog, having the dog’s owner manipulate the dog into moving toward you, or trying to touch the dog in any way. It is important that we recognize a dog’s cut-off behaviors. These are designed to end social contact. If, when greeting a dog, you do not recognize that he is scared or stressed, or you choose to ignore his signals and push forward with your approach, you are unfairly pushing him into a situation where he may feel he is only left with one option, and that is not a favorable option either to dog or human. In other words, he may feel he has no other choice but to bite. When we get a little irritated we may tell somebody to “push off “or “cut it out.” If they don’t respond then we may speak a little more firmly and we may even shout at them. Our dogs cannot do this. They cannot explain or plead with us in English, or whichever language we speak. They can only use their canine communication system. It is up to us to understand and respond to this system so the dog does not feel threatened to the point where he escalates his warnings to a bite! Dogs will typically give plenty of warning if they are uncomfortable with something that another dog or a person is doing. These warning signs may include a direct stare, a rigid face or body, a growl, a curled lip (this can be minimal and hard to spot) or “whale eye” (i.e. flashing the whites of his eyes, also known as half-moon eye). His ears may be flat against his head and he may have a closed, tense mouth. If you see any of these signals, stop what you are doing immediately and allow the dog to slowly back away. Be aware that dogs can make these signals extremely quickly, within mere seconds, and because of this it is not always easy to spot them. Dogs are wonderful, social animals that love and need to be a part of our lives. But, like people, their personalities range from being social butterflies to wallflowers. Tailor your approach and greeting style based on whatever communications the dog gives you. Dogs are very clear with their intentions and emotions and respond accordingly to ours. 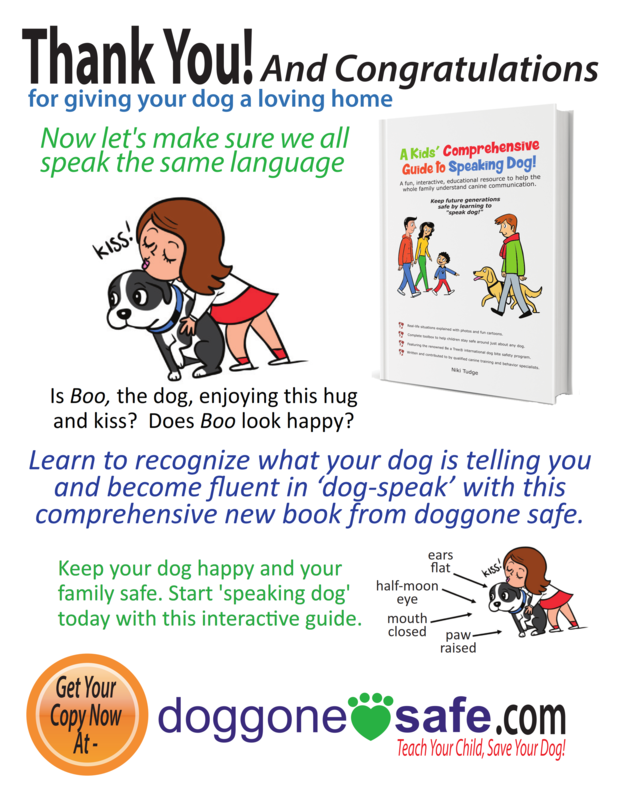 Remember, our body language and approach speak much louder than our words as far as dogs are concerned. They are expert readers of our body language and nonverbal communication. Dogs often feel stressed or anxious in certain situations, and will give signs to indicate their discomfort. In such cases, there is a need for intervention to prevent pushing a dog to the point of biting, and to make sure your canine friend is happy and not feeling anxious. Some of the behaviors and signals in this section may also be mentioned in other areas of the book, but we feel they are too important to not speak to in more detail. One Paw Raised – This looks very cute but the dog who raises his paw is not happy and does not want to be petted or bothered. A raised paw is a sign that the dog is worried. Half-Moon Eye – Also known as whale eye, this is when the whites of the dog’s eye are visible. Watch for this one when kids are playing too rough with the dog, or are too noisy or close to him. It is a common expression in dogs that are being hugged. If you see the half-moon eye when children approach the dog or are interacting with the dog, it’s time to intervene and give them all something else to do. The dog just wants to be left alone. A dog may also vocalize his anxiety in the form of a growl, a tongue flick, looking away, yawning or by licking his lips. Never punish a dog for showing that he wants to be left alone by growling, leaving the area or demonstrating any of the more subtle signs highlighted above. If you punish a dog for growling, then you risk suppressing his warning system. If you punish a dog for not staying in a set place when he feels threatened by a child’s proximity, then you risk suppressing his warning system. 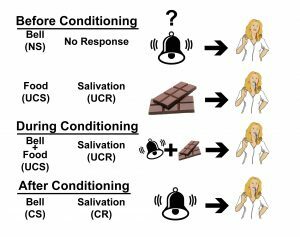 When a dog’s efforts to communicate are ignored and he starts to feel more and more stressed, he may get to the point where he feels he can no longer rely on his warning system. In such cases, he may simply resort to biting without any of the initial warning signals. Now if a dog is punished for trying to communicate his discomfort with any given situation, he will still feel exactly the same way about a child bothering him. However, he may now also feel he has no way to show it and no way out of the situation because he does not want to risk being punished. Be glad if your dog gives a warning and take steps to modify the behavior of the child, condition the dog to enjoy the child, and create private and safe spaces for both dog and child. Tail low and only the end is wagging. Tail between the legs and wagging. Ears sideways for an erect-eared dog. Ears back and very rapid panting. These are all things that dogs do in other contexts. 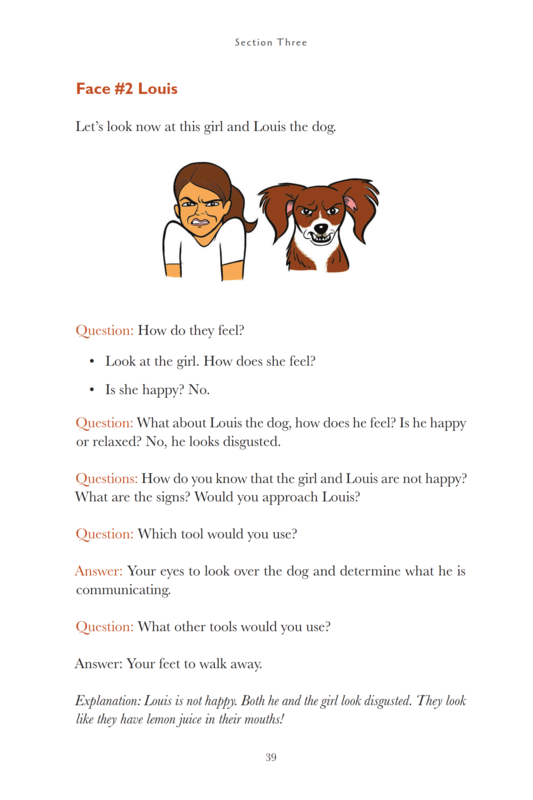 It is important to look at the whole situation to determine whether the dog is feeling anxious. If it is bedtime and the dog gets up, stretches, yawns and goes to her bed, then that yawn was not a displacement behavior. Displacement behaviors are normal behaviors that are displayed out of context. They also indicate conflict and anxiety, i.e. the dog wants to do something, but he is suppressing the urge to do it. He may, then, displace the suppressed behavior with something else such as a lick or a yawn. For example, you are getting ready to go out and the dog hopes to go too. He is not sure what will happen next. He wants to jump on you or run out the door, but instead he yawns. The uncertainty of the situation causes conflict for the dog, and the displacement behaviors are a manifestation of that conflict. Another example: The dog may want to bite a child who takes his bone, but instead he bites furiously at his own foot. Licking chops without the presence of food. Sudden scratching when not itchy. 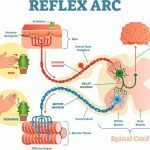 Sudden biting at paws or other body part. Sudden sniffing the ground or other object. All over body shake when not wet or dirty. Getting up and leaving an uncomfortable situation. Hiding behind a person or object. 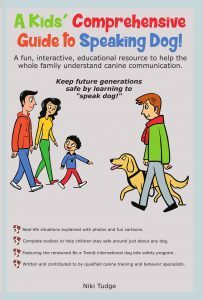 Please don’t force a dog to stay in situation where he feels anxious, especially if children are the source of his anxiety. All dogs should have a safe place, such as a crate or mat, which they can go to when they want to be left alone. All family members and guests should be taught not to bother the dog when he is in his safe place. There are many new things happening around the house during the holiday season, visitors coming and going, new scents from holiday decorations, yummy edibles around the house and road trips to grandma. As pet parents, getting ready for the holiday season, you need to be aware of potential hazards the holidays may present to your furry family members so you can keep them safe. Much like what we know about proper nutrition for ourselves, what we should and should not feed our pets during the holiday season is usually a matter of common sense. Chocolate is a big No No. The ASPCA notes that as little as ¼ ounce of baking chocolate can cause vomiting, diarrhea, seizures, hyperactivity and increased heart rate with a dog weighing 10 pounds. Dogs should never eat chocolate, period. Less sweet chocolate is more toxic than milk chocolate as it contains seven times more theobromine, a substance similar to caffeine. In general, all snacks and deserts intended for humans should be kept away from your pets. Any change in diet can give your pet an upset stomach so don’t feed your pooch table scraps, leftover food or allow them access to a particularly smelly garbage bin for those known to roam kitchen counters or trash areas. Be especially careful with turkey bones which can choke your dog or lodge in their intestines. Holiday decorations, such as Christmas trees, Lilies, Holly Berries and Mistletoe, can also be dangerous to pets if ingested. In fact, even allowing your pet access to the Christmas tree water can cause vomiting and diarrhea. Christmas tree water bowls can contain tree fertilizers and the water, if left stagnant, can hold bacteria. Also, remember that over the holiday season the family environment changes. We become hyperactive super heroes rushing from shopping to school play to home, achieving 27 hours of work in 24. Our living space becomes stuffed with strange objects, flashing lights, noisy toys and lots of stress. Try as best you can to maintain your pet’s normal schedule, keep feeding times the same and commit to their daily exercise routine. Also, be realistic about your animal’s normal behavior. If Fido is a chewer, you may have provided an irresistible chew toy for them by leaving large bright items under your tree. Or, if your feline friend is likes to climb furniture, your Christmas tree may serve as a tempting launching pad for a full-frontal attack on your child’s new remote control helicopter hovering nearby. Make time for your pet, remember they are family members too and this can be a great time of year for them with a little care and planning. There are several versions of the Humane Hierarchy around and available for dog trainers and behavior consultants to use and reference. Some of these humane hierarchy models are accompanied by pages of explanation, detail and academic citations. Others are wonderfully graphic and detail each level of the hierarchy and the progression direction. For me constructing a humane hierarchy was a far more simple exercise. You see I decided that my Humane Program did not need to be a hierarchy. I really only need to include the tools, methods and philosophy that i feel the need to use. After the implementation of a behavior change program supported by a thorough Functional Assessment if appropriate results are not achieved then. 2. Revisit the original functional assessment. Analyze the relationship the behavior has with its environment. Revisit and review the relationship between the antecedents/behavior and the behavior/consequences. 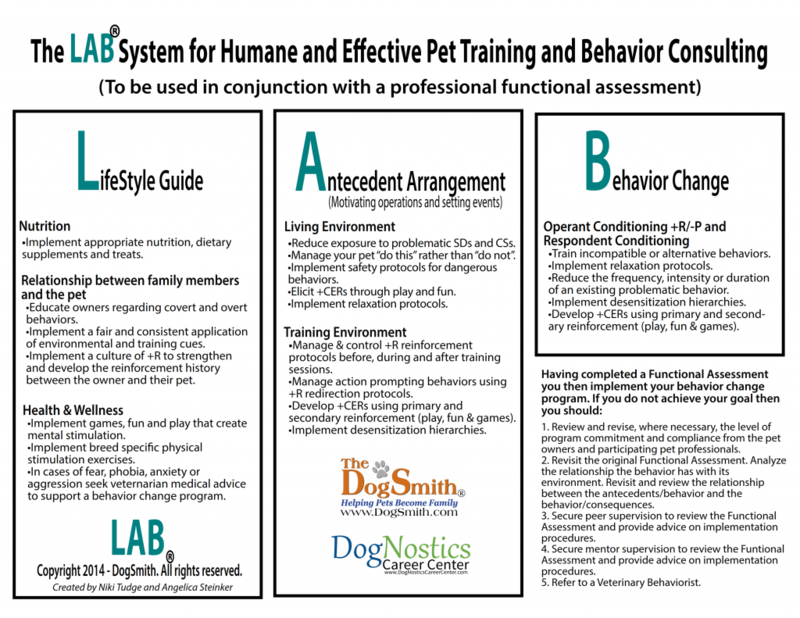 There are fundamental differences between the behavior analytic approach to assessing problem behaviors in our pet dogs and the medical model approach. The medical model approach to problem behaviors diagnoses and treats the behavior problem like an illness or disease. Within the medical model approach problem behaviors are categorized and then set protocols are prescribed based on the category the problem falls into. The medical model approach does not address the cause of the behavior or look at the specifics of the individual animal displaying the behavior. The medical model addresses the problem behavior through surgery, pharmacology intervention or anecdotal explanations based on how the behavior looks or the animal’s believed mental condition. Much of the prescribed treatment used to address problems using the medical model is based on intuition and passed down medical protocols. 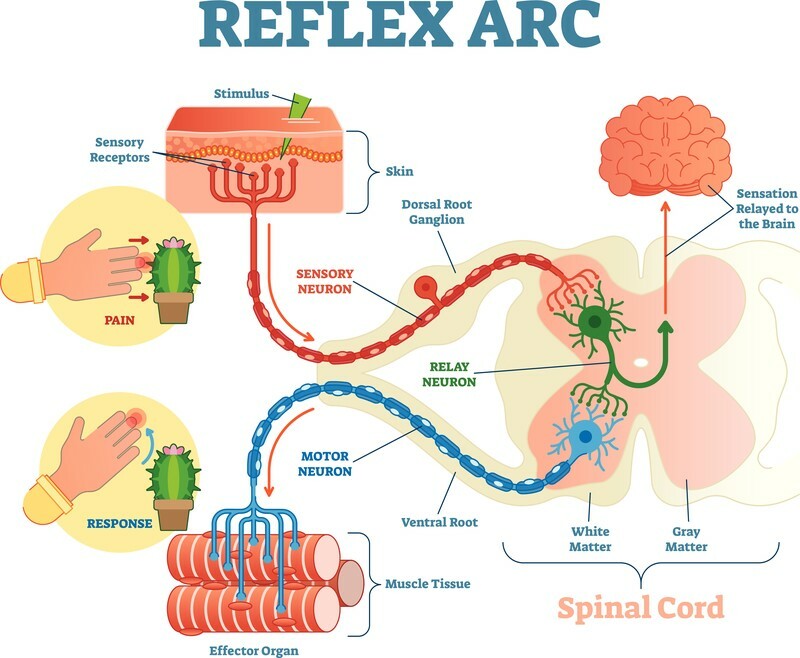 The behavioral approach to problem behavior is far more effective and efficient than the medical model because it is based on the science of learning theory and follows scientific processes to identify the antecedents and consequences of the behavior. The behavior analytical approach does not rely on anecdotal recommendations or trial and error tactics, it systematically identifies the functional relationship the behavior has with its environment. In particular it looks at the relationship the behavior has with the antecedents and the postcedents. When these two important relationships are understood then an objective and effective behavior change program can be developed. We must be able to explain and describe what is going on if we are planning to control, manipulate or change the behavior.